Posted on March 8, 2018 at 1:33 pm. Photo by Rhododendrites via Creative Commons. With spring fast coming, raspberry and other bramble crops in California and the southeastern states have begun the crucial blossoming phase. What happens next depends on honey bees. And they got a lot of work to do. 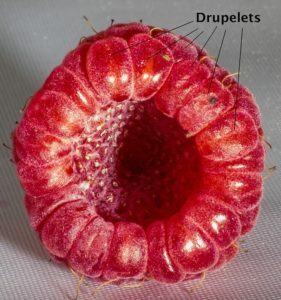 A single raspberry is really dozens of separate tiny pieces of fruit called drupelets, each in need of pollination. So, higher pollination rates mean more drupelets to form larger, more luscious berries and increased yields for growers. ISCA’s APIS BLOOM helps berry growers by increasing pollination rates. This environmentally-safe innovation steadily releases the pheromone that bees release in nature to signal to other bees they found a bountiful source of nectar. This focuses commercial bees on the crop blossoms, helping bees do what they do best. Trials in California have found SPLAT Bloom increased raspberry yields by as much as 14.9 percent, creating values much higher than the product costs. Our integrated pest management solutions eliminate or significantly reduce the need for pesticides. Protect your crops from pests with a green solution that’s safer for the planet while allowing your business to flourish.